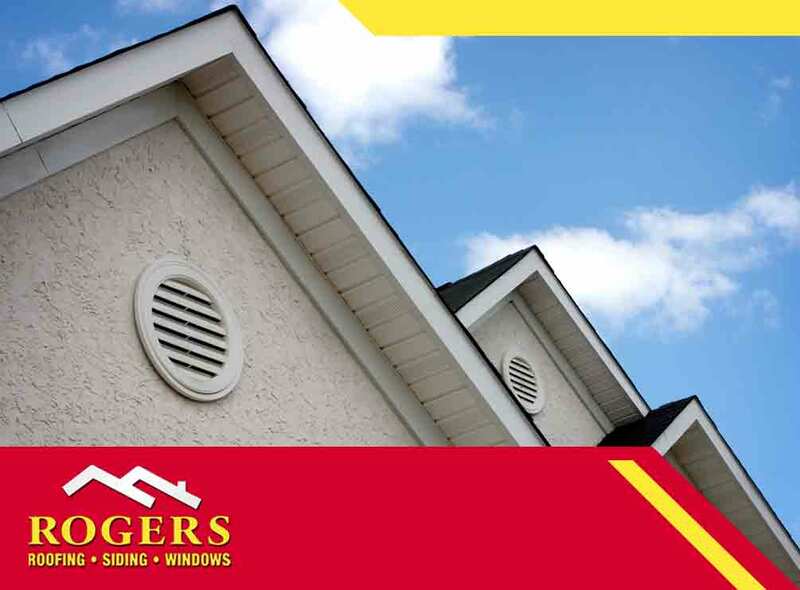 Rogers Roofing discusses everything you need to know about attic ventilation. An attic is more than an extra space for homeowners to place old items they no longer use. This room is responsible for helping maintain temperature levels inside the house. This type of ventilation is more commonly found in steep-sloped asphalt roofs. Because hot air naturally rises, an attic becomes extremely hot in summer unless the hot air can be vented outside. A healthy roofing system has good ventilation, where the soffit and fascia vents are doing their jobs properly, which involves exhausting hot air while taking in fresh, cooler air. Since there is adequate ventilation, hot air won’t gather long enough to cause issues on the roof and result in its roof deterioration. In addition, everyday tasks like doing the laundry, cooking and even ironing clothes create hot, humid air that goes up the attic before it is released outside. Without proper ventilation, your shingles are more likely to weaken due to heavy moist air wafting around the attic rather than directing the air outside. There are lots of benefits homeowners can receive once they pay attention to the condition of their attic ventilation. One of which is lowering energy bills. Since you’ve got indoor temperature under control, your HVAC system won’t have to overcompensate when cooling or heating your home. Another important benefit of proper roof ventilation is that you’ll keep your roofing system clear of ice dams during winter and free of moisture damage during summer. They cause great damage to a roof, even a newly installed one, when you do not mind your attic ventilation’s condition. Lastly, proper attic ventilation keeps your roof free of damage due to condensation. This damage causes roofing shingles to buckle, curl and swell. And you’ll be able to avoid major repairs when you regularly maintain your roof and its ventilation. Rogers Roofing is a family-owned roofing business with an outstanding team to assist you with your roofing needs. Talk to us by filling out our contact form. We serve homeowners in Tinley Park, Munster and Dyer, IL.